Accounting Systems Analysis, Time to Optimize or Upgrade Your Accounting Software? Many small and midsize businesses are clinging to their antiquated legacy software even though it doesn’t provide the visibility and accuracy that they so desperately need to manage their finances. 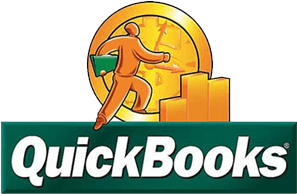 Others have invested in a modern system like QuickBooks but don’t know how to use it properly. If either of these scenarios sounds familiar, money could be slipping through the cracks. It’s time to take a hard look at your accounting system. Edison Business Solutions will conduct a thorough systems and workflow analysis, learn about your business processes and objectives and recommend a solution that makes sense for your company. Based on our analysis, you might choose to reconfigure your existing accounting software, upgrade to a modern system, or integrate your current system with QuickBooks. Additionally, you may decide to transition from an on-premises system to a cloud-based system, which minimizes capital expenses and maintenance, provides users with anytime, anywhere access to financial data, and allows the company to take advantage of a flexible, pay-as-you-go pricing model. Regardless of the solution or model, we research the technology, contact vendors to confirm capabilities, test the technology using your data, ensure alignment with business processes and goals, and help you get the right solution up and running. When the right accounting system is in place and optimized for your business, you operate more efficiently and gain total visibility into the financial health of your organization. Schedule a consultation to find out how Edison Business Solutions can help you transition to a modern accounting system or get more out of your existing system.